The Bicycle Film Fest is in it's eleventh year and travels all around the globe. 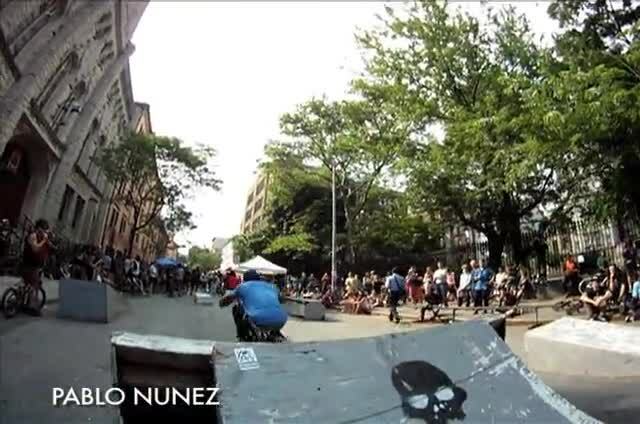 For the 2011 event, the YOUR INN crew had a group ride from the Bronx down to the Street Party, which was sponsored by POST. Day Two featured the BFF BMX GRANDS RACE put together by THE LAST PEOPLE, it was a wild street race through NYC where people got hit by cars, manualed over cabs, and did whatever else to try to finish.